First there were sequels. Then came trilogies. Now quartets and even quintets are popping up. It seems that everywhere you look, authors are creating series of books, and more and more publishers are asking for them. If you’re thinking about joining the bandwagon, read on. There are a few things to consider before you get started. Did you know there’s more than one kind of series? While others may disagree with the terminology, I divide them into two categories: continuing characters and connected characters. What’s the difference? In a continuing character series, the protagonists remain the same, while secondary characters and sometimes settings change. Think of Nancy Drew, Miss Marple and, more recently, Harry Potter. In each case, you know who the main character is, and part of the pleasure of reading one of these books is knowing that when you finish it, there will be another adventure coming, featuring your favorite people. Plot-driven books like mysteries, thrillers and suspense make ideal continuing character series. Connected character series are different. In them, when the first book ends, those protagonists’ stories are complete, but seeds have been sown for at least one secondary character to star in a subsequent book. It’s common, but not mandatory, for the protagonists of one book to make cameo appearances in the next one. Although settings may vary from one book to the next, it is also possible that the setting itself becomes a character. That’s what happened with my Texas Dreams series. The stories form a connected character series, with the hero of Scattered Petals being introduced in Paper Roses, and Tomorrow’s Garden’s hero making his debut in Scattered Petals, but in addition to those connections, the town of Ladreville and a cast of secondary characters form a common thread. Character-driven books like romances and general fiction are good candidates for connected character series. Once you’ve decided which type of series is right for you, the next question is to decide how many books will comprise that series. In the case of continuing characters, the answer is frequently “I don’t know.” That’s because those series are often open-ended. Connected character series, however, are typically finite. Since trilogies seem to be particularly popular now, my recommendation is to think in terms of three books. And, if you’re writing a continuing character series, I’d suggest including at least three books in your initial proposal so that there’s no question that it’s a series. Although there are many challenges associated with writing a series, for me, three stand out. 1. Maintain consistency from book to book. Readers are intelligent. They’ll remember that Susie had green eyes in Book One, and if those suddenly change to brown in Book Two, unless you mention that she’s wearing colored contacts, your reader will be disappointed in you. I keep a chart with all characters’ ages, hair and eye colors and other dominant characteristics. Unfortunately, I did not include characters’ horses’ names on that chart and, halfway through Tomorrow’s Garden, found myself paging through Scattered Petals to see what I had called Lawrence’s horse. Note to self: include horses on chart. If you’re using the same location from book to book, I highly recommend having a map that shows where houses, rivers and other landmarks are located. Once again, readers will notice if you change the street names between books. Even if you’re using a real town, it’s important to know where the characters live so that you’re consistent. 2. Create each book as a stand-alone. I know, I know. We’re talking about books in a series, so why am I suggesting that each one be a stand-alone? For me, there’s nothing more frustrating than picking up the second book in a series and feeling as if I’m a stranger at a party where everyone else knows each other. They’re all talking about people and events that are unfamiliar to me. If you write each book with the idea that it can stand alone, you’ll make readers happy. The key is to ensure that each reference to a prior book has a brief explanation, bringing the reader “up to speed.” The challenge, of course, is to not give away key plot points from previous books. Is it easy? Of course not. That’s why it’s a challenge. 3. Make each book as compelling as the previous one. For me, this is the most difficult challenge of all. I’ve read so many trilogies, including some written by New York Times bestselling authors, where the first and third books were excellent, but the middle one fell short that I started asking why. Was this an extreme case of the sagging middles that we’re all told to avoid? Was it like sophomore slump? I suspect part of the problem is that, as authors, we’re excited about the first book, but when we get to the second, we’re anxious to finish the series, and the second book suffers. Don’t let that happen. I wish I could give you concrete advice on how to avoid the middle book doldrums. All I can say is to be aware that this is a potential problem and one that afflicts even bestselling authors. If you have critique partners, ask them whether this book is as good as the previous one, and if the answer isn’t the one you wanted, ask yourself what you can do to improve it. Your readers expect excellence. Don’t disappoint them. For me, although there are undeniable challenges involved, writing books in a series is great fun. I love the challenge of creating a town and peopling it with interesting characters, then returning to it a second and third time. I love introducing characters in one book, then following them into a second book. I love every aspect of it except one: saying good-bye. Writing books in a series can be a fulfilling experience. If you’re at all intrigued by the idea, I encourage you to try it. With both parents avid readers, it’s no surprise that Amanda Cabot learned to read at an early age. From there it was only a small step to deciding to become a writer. Of course, deciding and becoming are two different things, as she soon discovered. Fortunately for the world, her first attempts at fiction were not published, but she did meet her goal of selling a novel by her thirtieth birthday. Since then she’s sold more than twenty novels, a number of which were part of a series, under a variety of pseudonyms. 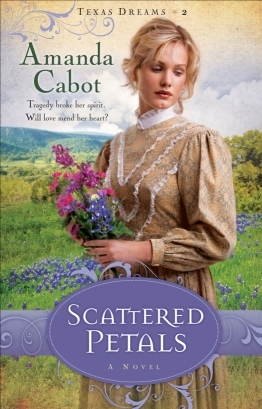 Scattered Petals is her second book for the CBA market and the second in the Texas Dreams trilogy. 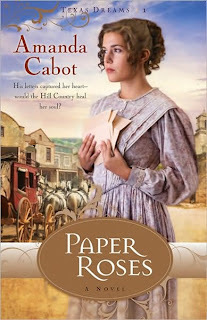 Casey here: I have a gently read copy of Amanda's Paper Roses that I am offering for a giveaway. If there are more than 50 comments before the 11th, I will throw in her Scattered Petals novel to another winner too. Looking forward to hearing your comments! I would love a chance to win one of Amanda's books, Casey! Thanks for the chance to win! No need to enter me, as I own her books. But this was an excellent post I will give a lot of thought, too. My husband helped me through the plotting process and helped me to discover that my scope was too broad for ONE book so I think mine will be a series unless God shows me differently. A map is an excellent idea I hadn't even thought of...thanks Amanda for sharing so many great ideas. You know this is bad but sometimes I forget my minor character's names. In the rough drafting process I just give them a question mark and then go back to look at my character chart later. You said more and more publishers are asking for series, but what about the first-time author? Should we mention we have a series of follow up books in mind, or try to sell the first one as a standalone? Great post, with thought provoking insights into series writing. Like Sidney, I'd like to know about first time author's and series. I didn't know that about series or the terminology! Sounds fascinating! I'd love to win Paper Roses! Thanks for the wonderful post. Two types of series? Wow, that's true. And I have both. Mostly connected serieses (sp? ), but I have one continuous series. In fact, I can't seem to write a stand alone. LOL. Thanks so much for this post, Amanda. I'm so glad you've found the post helpful. Like Pepper, I didn't start writing books in a series, but one thing led to another, and I wound up with connected characters. Now almost everything I'm writing is a series. As for the question about first time authors, I'd suggest pitching your book as the first of a series and giving the editors a preview of the second and third books. The way I do that is to write a normal synopsis for the first book and then only a couple paragraphs about the second and third. I don't write chapters from anything other than the first book as part of the initial proposal, but by adding the other information, there's no question that I'm looking for a three-book contract. BTW, the worst the editor can say is, 'no,' and I do know of a number of first time authors who have gotten three-book contracts. Thanks for this great information, Amanda. I am just plotting the third book in my series, while fixing/editing the first two. And I keep finding little problems to fix. I've just started going back and doing character charts of names, etc. which I should have done a LONG time ago. Slow learner here! But it's so much fun writing a series. I love that the setting and some of the other characters are already in place. It's like visiting with old friends. I'd love a chance to win one of your books. They look terrific. Thanks for a great post. I appreciate your remarks on the sagging middle book. My current WIP is the second in my trilogy. In "Tales of Faeraven," I tell a larger story through three interconnected stories. The whole thing intimidated me at first but it comes to you as you go. I wish I'd started out with a chart since I wound up backpeddling a lot to find out things like eye color and, yes, horse's names. Great article. I'm beginning my second historical romance series and I love doing them. Charts are a must. I enjoy reading both types of series, but never thought of a description. I'd love to read your books. Thanks for this wise advice. When my heart latches onto a story, in a lot of cases, I naturally tend to think about it in 3 books. One reason is I write historical fiction---and it makes sense to write a series to take advantage of the zillions of hours you spend doing research. I wonder what the other reasons are that draw people to a series? What drew you? Totally enjoyed this blog. What a beautiful cover too. I have been wanting to read some of Amanda's books for some time now. I would love to be entered into your giveaway. Thank you for the chance. Great advice, Amanda. For those of you who haven't read her Texas Dreams series (books 1 and 2 anyway) I highly recommend it. Can't wait to read book 3! No need to enter me in the drawing--I own her books. Hi Amanda, Thank you for all the great information and advise. Hope this will come in handy for me when I can get back to writing my book. Life keeps getting in my way. lol Hope I will be a lucky one and win. I am so glad I found Christian books to read. Not having to skip or skim over parts of the books I don't care to read is so much better. I love the covers of all 3 of these books. Interesting, neither of my parents were avid readers, yet I LOVE books. Not sure where I got it from. Reading all your points makes me grateful to all you seasoned writers. I, personally, have no desire to write a book. But I do love to win them. Please enter me. Thanks. I enjoy discovering that a book I enjoyed is part of a series. Once I love the characters and world the author creates, I just want more! Love your books, and am continually inspired by your wealth of helpful information. 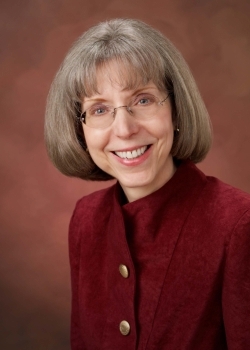 Thanks for writing delightful, intelligent books that both adults and girls can enjoy. Much gratitude and looking forward to your next. I love it when a map is included in a series, it makes my visit to a location come alive. Please add me to the drawing for Paper Roses. Thanks! LOL, yes, he is so helpful. He is a very good writer himself, but doesn't have much time to keep it up right now. Maybe someday we'll write something together. We've laughed about what that might be though...his stuff tends towards sci-fi/speculative and mine tends towards women's fiction. So it would be an odd combo. I'm hoping you get to read it, too. I'm not sure when I will finish it but I will make headway as the Lord and priorities allow. Lots of really good information here to read. I really enjoyed the post. Please enter me in the drawing. Casey, these books sound really good. Thanks for giving them away. Looking forward to reading one. I don't think I've read anything by Amanda, but I know it should be good. Need to look her up. Count me in on the drawing. Great post! I would love to read Amanda's new book! Excellent post, Amanda. Very useful insight into writing a series. And you have given us such a good example through your own writing, Texas Dreams series. I have read Scattered Petals and look for to reading the next one. Put my name in the drawing. I'd like to read this--thanks for the giveaway! How interesting! I tend to like connected character series more than continued character series. Very interesting thoughts on writing in a series. Thank you! I would like to be entered in this drawing. Carmen sent me. I would love to win either book! Please enter me! I'd love to read this! I love series - but often I'll wait until they are all out before reading them - then check them all out from the library for a reading marathon... :) It's just so hard to wait for the next book! I completely agree that books in a connected character series should attempt to be stand alone! There have been many times when I have picked up in the middle of a series, and then will read the beginning later if I like the author. Thanks for the giveaway - I found your blog from Carman! Anyway, the reason librarians aren't thrilled by series is that sometimes one of the books goes missing after they're out of print, and then patrons are frustrated, because they can't read the whole series. Knowing that is one of the reasons I advise writing connected character series books as stand-alones so that readers don't absolutely, positively have to read them in the order they were written. I am reading my first Quintet series right now and I have noticed that more and more writers are creating them. Is this the new standard or are publishers still looking for one-off books? Oh, you are getting close. I'd love to win. The covers on these books are absolutely lovely.